Classic 1740 ''Bijou''cottage South of Broad with off street parking and magical garden. 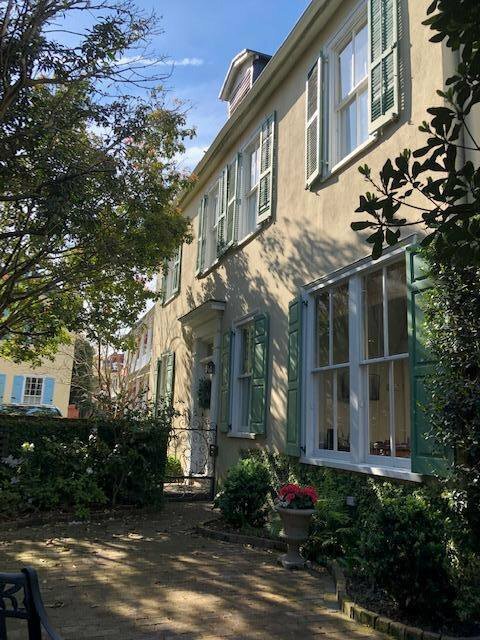 The ideal pied a terre for enjoying the vibrant lifestyle of Charleston. One block South from Broad Street, offers easy access to all cultural attractions and and dining establishments. Three beds, 2 full baths, eat in kitchen, entry hall, dining room and living room. Oak/pine wood floors throughout. Very recent garden restoration offers comfortable space for evening cocktails or morning coffee. Beautifully shaded with mature trees and plantings. Off street parking for one car completes the package. NO flooding, no water on the street. Garden cabana includes laundry and half bath. This location is high and dry and has experienced no flooding in over 12 years. As a result, this owner has chosen not to carry flood insurance. The perfect perch for southern living for a couple with room for visitors.